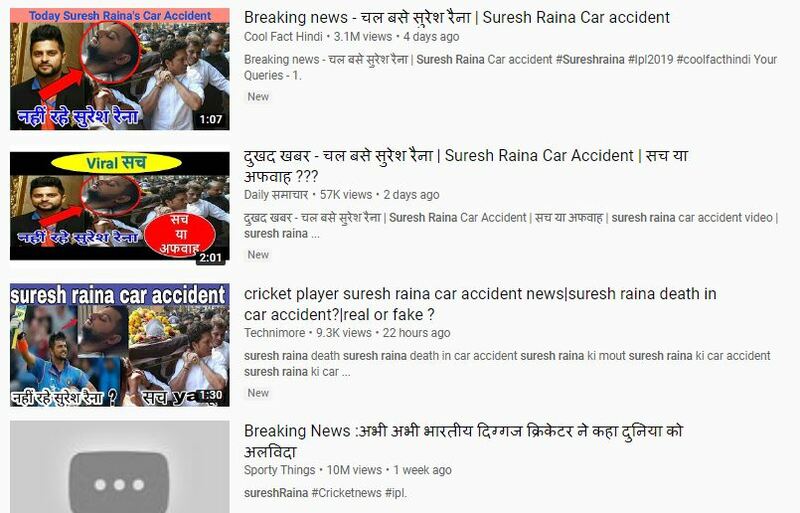 Suresh Raina has hit back at the fake news reports and videos on social media related to his death after a road accident. There have been several news items and videos on social media saying that Suresh Raina passed away recently in a road accident. The Indian cricketer on Monday posted a tweet slamming these rumors. “Past few days there has been fake news of me being hurt in a car accident. The hoax has my family & friends deeply disturbed. Please ignore any such news; with God’s grace, I’m doing absolutely fine. Those @YouTube channels have been reported & hope strict actions will be taken soon,” he tweeted. There have been many videos that surfaced on social media in the last few days claiming that the Chennai Super Kings (CSK) and India cricketer was involved in an accident and passed away from his injuries. It seems the reports of Suresh Raina’s death are greatly exaggerated. (Sorry, Mark Twain)!